How Do I Safely Store Chemicals in a Rural Store? Hazardous chemicals can pose a significant risk to the health and safety of you and your colleagues if not stored correctly. Storage of dangerous chemicals must meet the standards set out in the National Code for Storing Dangerous Goods. Failure to store chemicals in the correct way may result in health and physical hazards. A rural store is a common place where many types of chemicals and dangerous substances are found. Often store owners may be confused or ill-informed when it comes to effectively storing these goods. Storeplan has successful assisted managers of various rural stores find an effective solution to chemical storage in their warehouses. Clients such as rural stores require a system that is easily accessible, secure and lockable for the storage of dangerous/hazardous chemicals. 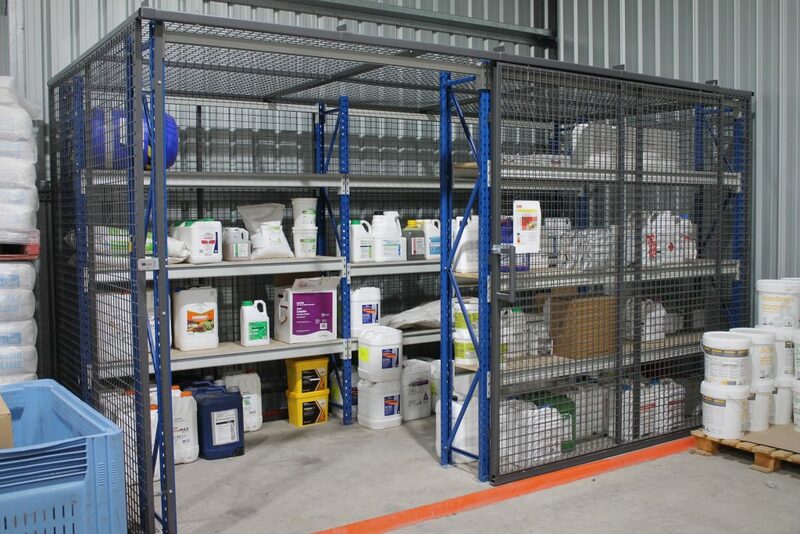 The solution to provide compliant bulk chemical storage came in the form of a ‘walk-in’ safety cage. This is based on the components of Storeplan’s Longspan Shelving System. 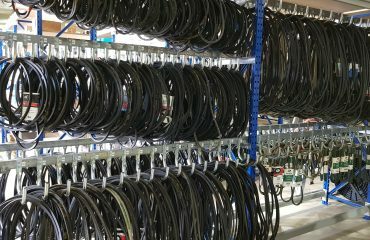 Customised steel framed mesh panels close in the sides, rear, top and front of the Longspan Shelving System created a study and secure surround. Access is by means of an 1800mm wide sliding gate which is padlocked once closed. This allows for a pallet of chemicals to be placed inside the cage and then unloaded onto the shelves. The entire system is bunded to ensure no leaks or spills can contaminate other areas of the warehouse. Don’t have a need to store bulk chemicals? You also have access to our vast range of Chemical safety cabinets for all chemical types ranging from Aerosol can storage, flammable liquids to corrosive substances. Choose from smaller 250LT wall-mounted units, to completely relocatable mesh units for outdoor storage. Visit https://www.storeplan.net.au/industry/safety-cabinets/ for more information. If you are reading this and think this solution would solve some your chemical storage concerns – please call 1300 551 281 or email sales@storeplan.net.au. We would be more than happy to assist.